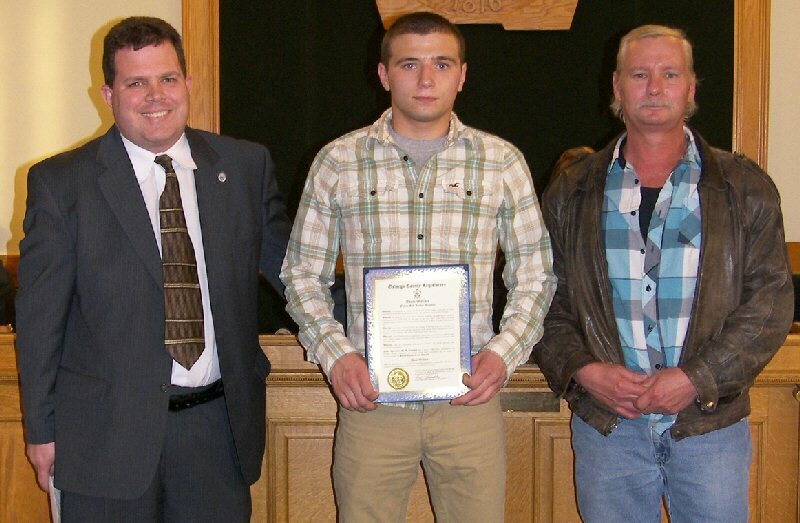 OSWEGO, NY – The Oswego County Legislature recognized champion wrestler Adam Wallace with a certificate at their April meeting. Wallace traveled to the New York State Wrestling Championships in Albany last February where he placed sixth in the 138-pound weight class. Coached by Mike Conners, the Fulton senior has qualified for the NYS Division I Championship three times in his career and holds an impressive record of 159 wins with 93 pins. 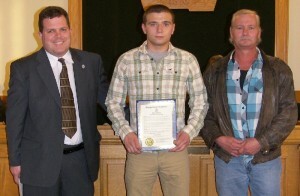 Pictured from left are Legislator Daniel Farfaglia, District 24; Adam Wallace; and his father Mitch Wallace.